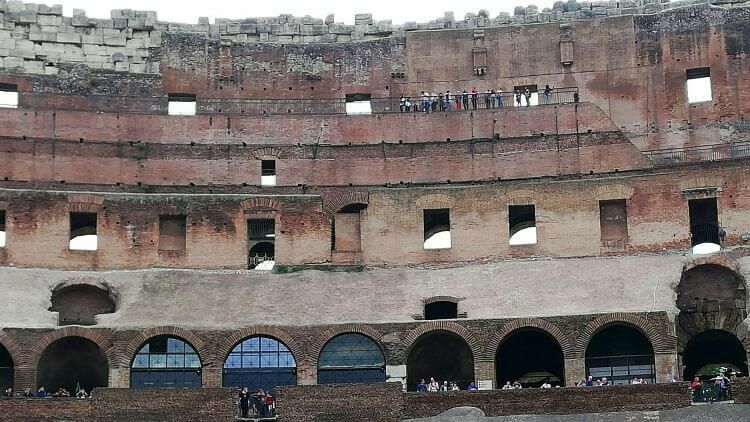 Restricted Areas Belvedere Top Levels Colosseum Tour – use promo code ITALYMARTHA for 5% discount. We met our group in an easy to find location across from the Colosseum. After checking in we were given listening devices, which turned out to be by far the best I’ve ever had. They were comfortable and easy to use and I could hear our guide perfectly. Giulia introduced herself and told us she had studied art history and some archaeology. Then we set off to the Colosseum. 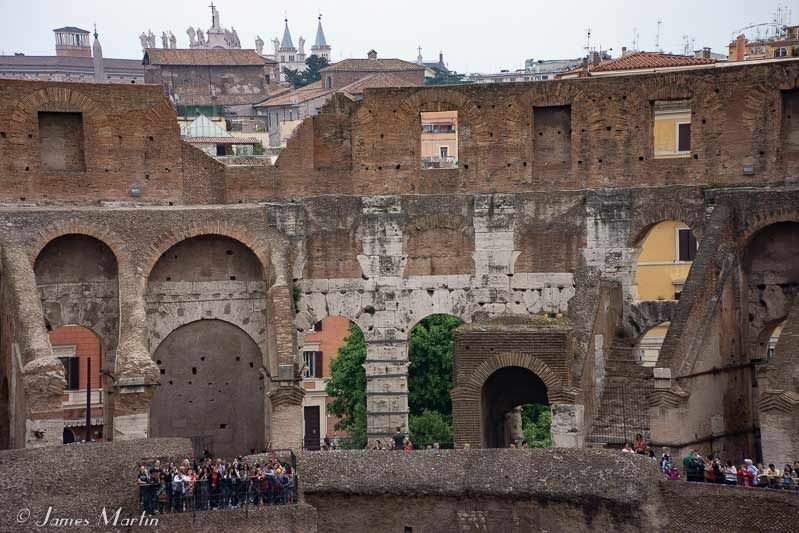 The start of the tour is a little chaotic due to security measures at the Colosseum, however our waiting time was not wasted as Giulia introduced us to the Colosseum and its history until it was time for us to go through security. Then we had another short wait for the Colosseum employee who would unlock the gate and accompany us to the top. That time was also well spent as it gave us a chance to use the rest room. When it was our group’s turn, we were taken up the stairs to the third level. Because access is restricted, there was only one other group in the area with us. From the third level there are several good view spots looking out over the Roman Forum and the city. We were given ample time for photos as Giulia pointed out things to see both in the Colosseum and in the Forum beyond. Next we started the climb I had been dreading, up to the fifth level. It turned out to be not nearly as difficult as I had expected – the stairs weren’t too steep and there were handrails. Giulia told us that the higher levels were where women sat to keep them farther away from the gladiators and wild animals. Finally at the top, the view was stunning, well worth the climb! It really gave me a feel for the immensity of the Colosseum and what it might have been like filled with spectators. To help our imaginations, Giulia had photos and diagrams to illustrate her talk. Back at the lower level, we paused to view the arena floor. 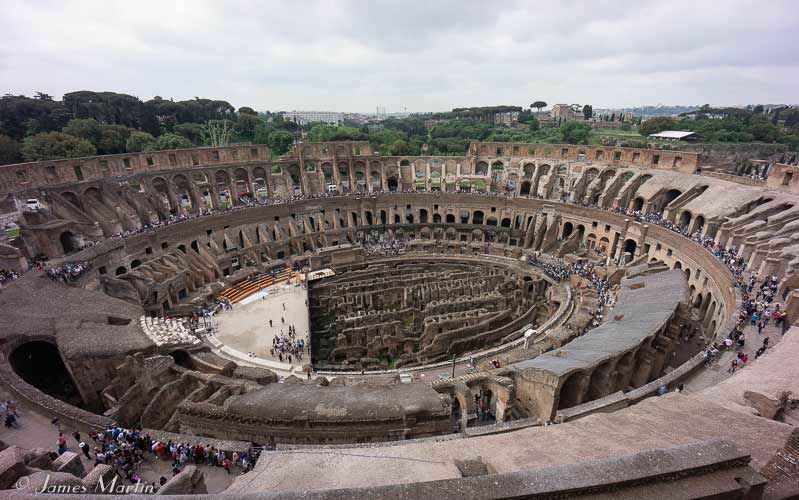 If you want to actually visit the Arena floor, that’s on a separate tour: Arena Floor Colosseum Tour with Roman Forum. 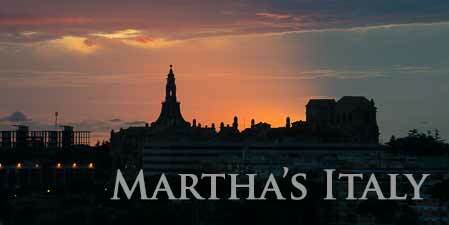 Use promo code ITALYMARTHA for 5% off this tour, too. After exiting the Colosseum, we walked to the Roman Forum and entered through the special tour entrance with a quick security check. Although we only had about half an hour left in the tour time, Giulia made good use of the time, pointing out highlights and giving us interesting historical details. It was a very good introduction to the Forum and at the end of the tour we were free to remain inside, exploring on our own. Since the Palatine Hill is also part of the ticket, we planned ahead and brought sandwiches for quick lunch, then spent a little time exploring the Palatine Hill on our own. It’s definitely worth the walk up the hill to see the magnificent views of the Forum and Colosseum below and the city beyond. 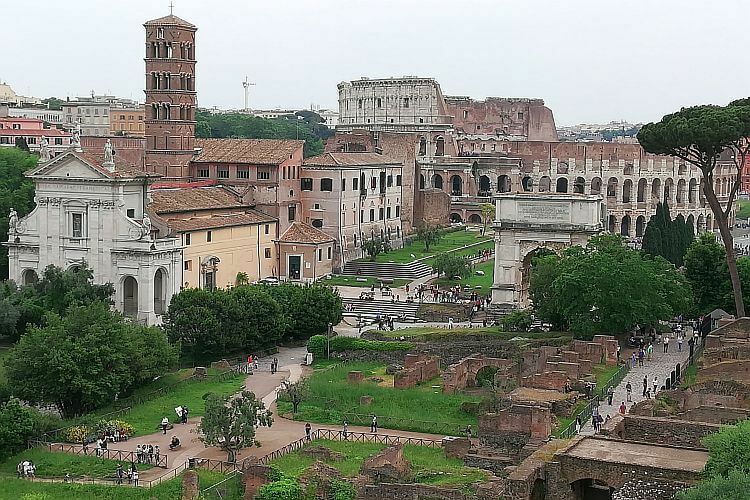 Top things to see on the Palatine Hill are remains of Emperor Domitian’s sprawling palace that once dominated the hill, the restored Farnese garden, House of Augustus, and the museum with Roman mosaics and artifacts. 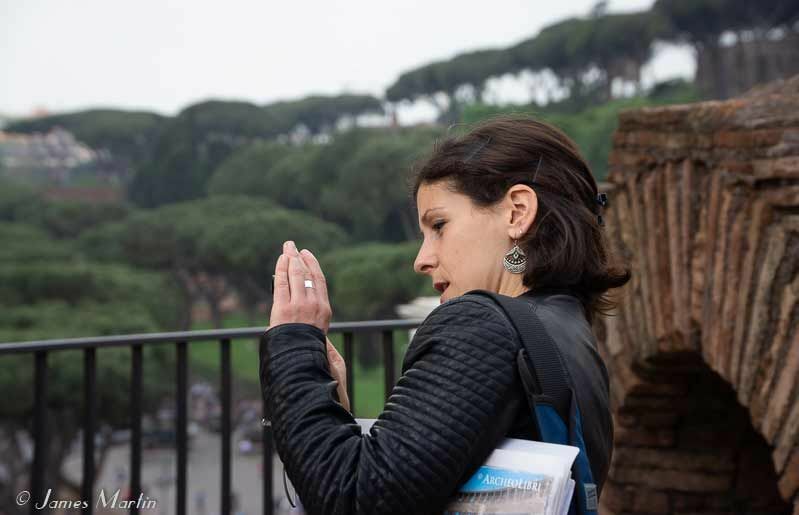 More Tours with the Roman Guy, an excellent choice for guided tours in Rome. 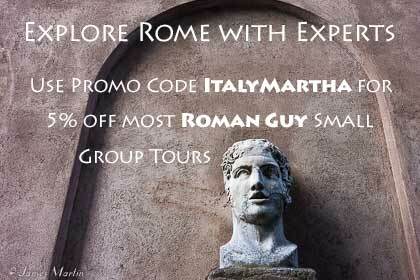 Use promo code ITALYMARTHA for 5% off most small group tours (except Colosseum underground tours). Colosseum Visiting Notes: Everyone must go through a security check. You cannot enter with large backpacks, trolleys, or luggage but you can bring water and carry a day pack. Tour groups have a special entrance so the line to go through security is shorter and moves more quickly than the regular entrance line. Be alert for pickpockets in the surrounding area and avoid carrying your passport, any valuables, or money where they can be easily stolen. 2019 free entrance dates are March 5 – 10, therefore you do not need tickets for those dates, however entrance lines may be long. Guided tours will still operate on those dates and get priority entrance. Disclaimer: I was given a complimentary tour however this has not influenced my opinion or this article.